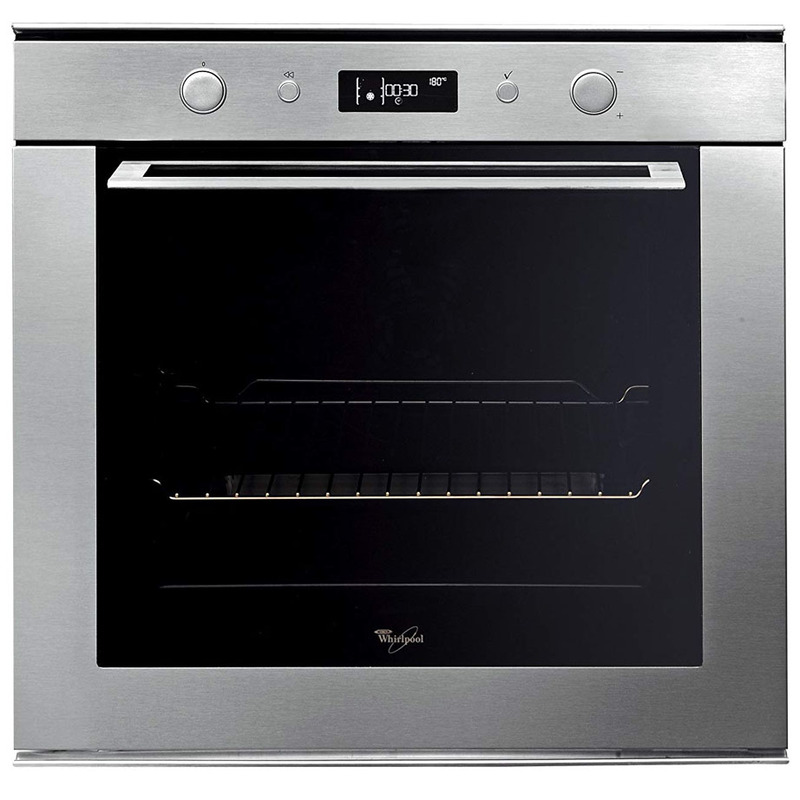 This modern electric built-in oven from whirlpool is finished in a high quality Stainless Steel. With a locking control panel and interior lights as well as a fully digital display with retractable knobs this oven will really take your cooking experience to the next level. Elegant and innovative design, easy to operate and clean, allows access to pre-programmed recipes and oven programming in a simple and practical way. Safety and comfort in your kitchen. Thanks to the triple glass door, possible accidents and burns are avoided. At the same time, the window allows you to visualize what is being baked. Enjoy the pleasure of cooking with maximum security. Thanks to the emission of enveloping hot air currents, this function guarantees a uniform and even cooking.